Description: Are you a St. Louis Cardinals' super fan? This ring was created just for you! 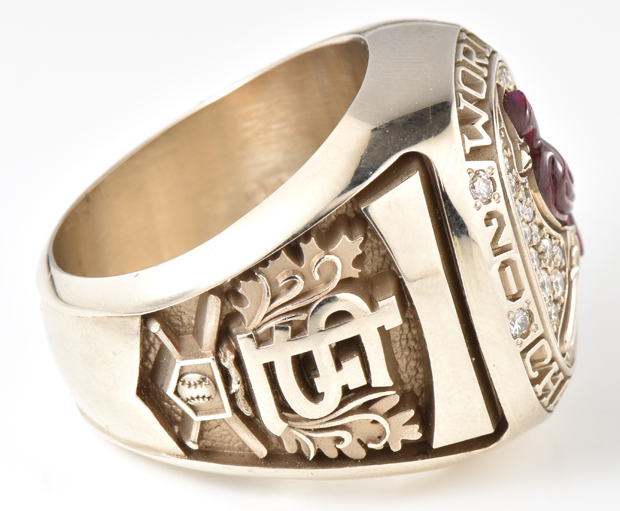 Made by Jostens, this ring doesn’t have a name on it, but was intended to be worn by a super fan. 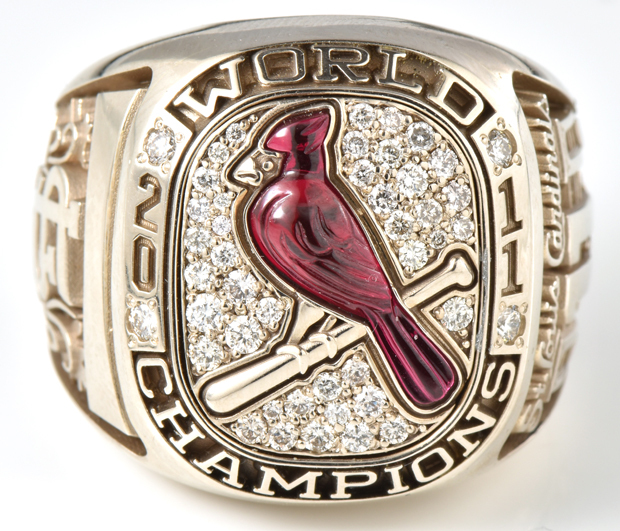 It is made to look very similar to the ring that was given to the players and members of the staff from the 2011 St. Louis Cardinals. There are 45 round diamonds weighing over 1.00 cttw, SI clarity, H-I color. The cardinal is carved out of a red stone. If you look really closely, you can even see the rally squirrel running across the side. 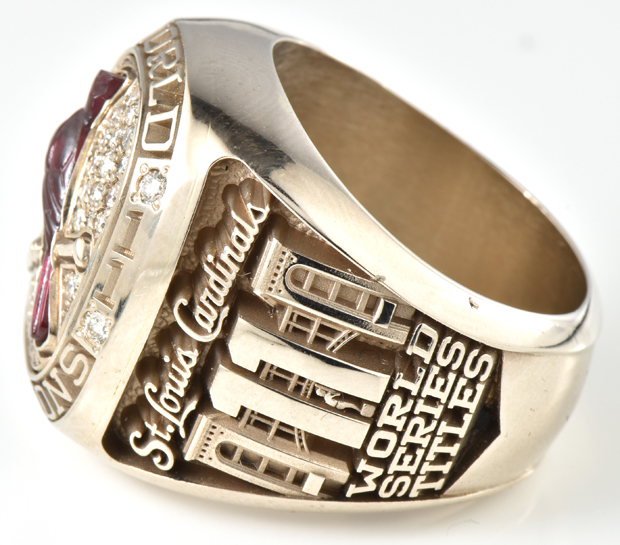 You won’t regret adding this to you sports memorabilia collection! Ring size 11.75, 32.0 dwt.